Working and living in a foreign country can be challenging at first, but after a short period of adjustment, there is a whole new world to discover. More than new places, people and things to learn, working abroad is a great opportunity to grow in many ways. The following are some of the benefits of working abroad. Are you looking for an opportunity to improve your sencond (or third or fourth) language? You definitely need to work overseas. Yes, maybe a travel for a few weeks could help you to achieve the objective, but having a job will force you to increase your cultural language. One of the hardests aspects of leave your home country is to discover that too many habits and values are not yours, but are determined by the customs of the society. However, far from being a drawback, over time, this become a huge advantage, since giving you a global perspective. You must know that this is an important feature in a leader; a global perspective will help you to find more than one solution for the same problem, and this is because you will learn the way they solve it in different cultures. Since you will be in a foreign country, with the need to resolve the setbacks of a new foreigner, and supervised closely for your employers, you will learn to take the initiative, both at work and life. You will have to find new ways to achieve things, and you will feel obligated to suggest new ideas at your workplace. Cultivate an international network of contacts. This is true for every person traveling around the world. 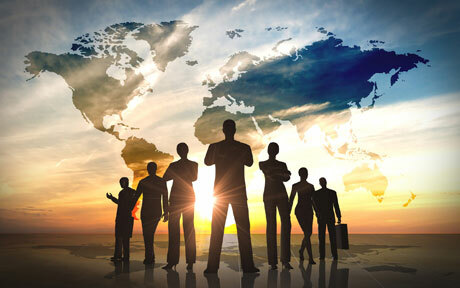 But most importantly, working abroad will give you a real network of professional contacts, and you know what it means. It increases your chances of working in other countries, or even become a contact to help your friends to work at your home country. Of course, this is the most immediate benefit that you will notice. New friends, food, landscapes and a deep way to discover yourself are waiting for you overseas. Now you know just a few advantages of working abroad. What are you waiting for?